The South African Rugby Legends Association (SARLA) returned to the little Drakensberg town of Winterton on the 15th September 2018 for another legendary rugby match against the Drakensberg Rugby Club Legends Team. Perfect Spring weather greeted all at the Winterton Rugby Club, with players and supporters alike buoyed by the Springboks exhilarating earlier win against the All Blacks. The very first Legends game in Winterton took place over 15 years ago in 2002 and brings together former players for a dynamic afternoon of fun and friendship. An important fundraising event, the match is both incredibly well supported and attended. Before the match kicked off at 3pm, young players from the nearby region were treated to a rugby clinic with skills and advice shared by legendary coach Ian McIntosh. The 2018 edition of the Battle of the Legends featured a majority of Natal based SARLA legends and players from the Drakensberg Rugby Club with the SA Legends once again remaining undefeated. 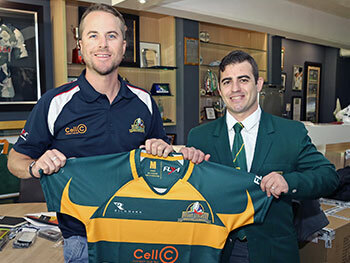 Drakensberg based farmer and one of SA’s ‘all time great’ fly halves, Henry “Lem” Honiball, joined the team in the change room to do the traditional pre-match jersey hand out before they took to the field. Right from the start, the Legends dominated play, controlling the field with some impressive play in the first 20. The strong forward pack of the Legends kept the Drakensberg team at bay and they continuously camped out in their opposition’s half. They were rewarded with the score at 29 – 5 just before the half time whistle blew. 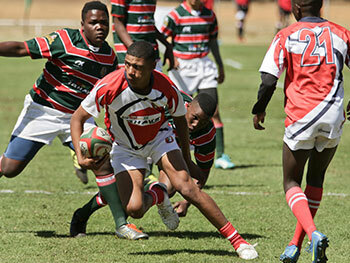 The second half echoed the first with some remarkable moves leading the team to a victorious final score of 48 – 12. No match in Winterton is complete without the incredible hospitality provided and there was much to celebrate as the sun went down over the incredible Drakensberg Mountain range. 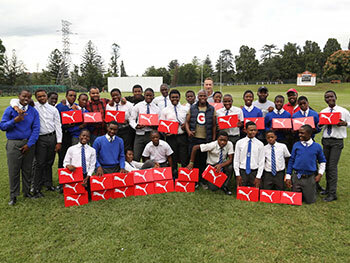 Terblanche emphasised that “SARLA thanks all of our Legends and is grateful for their time and energy, plus their commitment to giving back by passing on their valuable knowledge to the next generation of rugby talent. All of this made for another successful event, raising some much-needed funds for the Drakensberg Rugby Club”.